George Vassilatos, age 87, of Wilmington, passed away peacefully in the hospital in the presence of his family and priest. He was born in Corfu in 1931 and was educated in Athens, receiving his degree in chemical engineering in 1954 from the National Technical University (Polytechneion). After service in the Greek army, he received an MS from the University of Toronto in 1960 and a PhD from Carnegie Mellon University in 1964, both in chemical engineering. He joined DuPont as a researcher and worked at the Experimental Station for 38 years, making significant contributions in polymer processing and fiber formation, attaining the level of DuPont Fellow and winning the Lavoisier Medal for Technical Achievement in 2002. 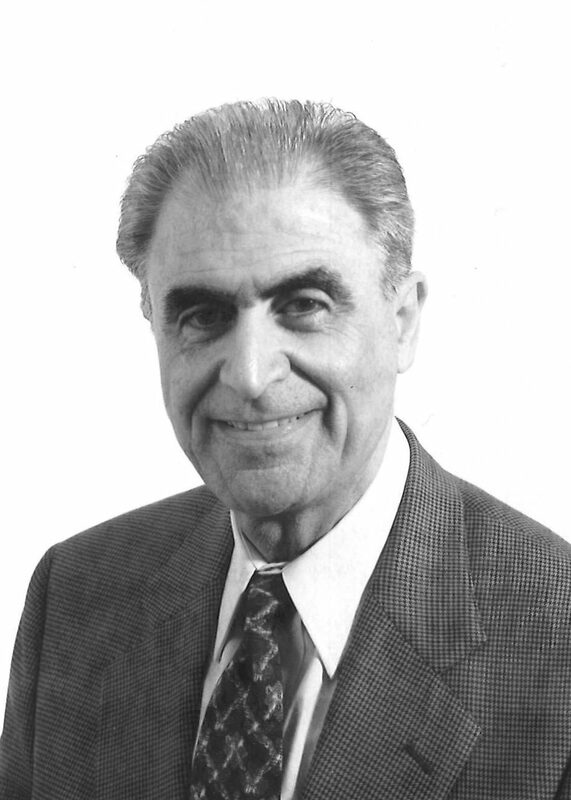 George was active in many professional societies, held 19 patents, was a faculty member at the University of Delaware and the University of Washington, and served on the visiting committee for the Chemical Engineering Department at Carnegie Mellon University. He was elected Fellow of the American Institute of Chemical Engineers and received the Thomas Chilton Award. George was devoted to his church, Holy Trinity Greek Orthodox, serving in many capacities over several decades including two terms as president of the parish council. Within the Greek American community, he was president of the Hellenic University Club and active in the American Foundation for Greek Language and Culture (AFGLC) and the American Hellenic Educational Progressive Association (AHEPA). Above all his accomplishments, George was foremost a loving husband to his wife and best friend of 53 years, Yvonne. He was a dedicated father and grandfather who cherished his two children and their spouses, and was so proud of his four grandchildren. He was quiet and thoughtful, and listened more than he talked. A kind and patient mentor to several generations of family and friends, he was a model of decorum, always encouraging, and a great supporter of his Greek American culture. He is survived by his wife Yvonne; his sister Athena Hareras of Pittsburgh; his son Peter (Julie); his son-in-law Robert Warnement; and grandchildren George, Sophia, Nicholas and Angeliki. He was preceded in death by his sister Evangelia Savanis of Pittsburgh and his daughter Thalia Warnement. In lieu of flowers, the family asks that memorial contributions be made to Holy Trinity Greek Orthodox Church, 808 N. Broom Street, Wilmington, DE 19806. Services will be held on Friday, February 8, 2019 at Holy Trinity Greek Orthodox Church with a viewing at 10 am and funeral at 11 am. Interment will follow at Silverbrook Cemetery. Our condolences. We shared several anecdotes working for Dupont. Our beloved George, one of the brightest and kindest members of our community, will be sorely missed, but his memory will be eternal! Ο Γιώργος ήταν ένας θαυμάσιος άνθρωπος. Είμαστε τυχεροί που τον γνωρίσαμε! Ας είναι ελαφρύ το χώμα που θα τον σκεπάση. Αιωνία η μνήμη του! George was a wonderful man. We are lucky we got to know him. Let his memory be eternal! What a wonderful man. May his memory be forever eternal! George was without a doubt the kindest man I have had the privilege of meeting in my life. Our condolences to the Vassilatos family he will be sorely missed by our community. May his memory will be eternal. My deepest sympathy for your loss. He was a wonderful husband, father, grandfather and friend to all. A humble, quiet, gentle man. His diligent participation in many functions of our Church Community will leave a large void. He will be dearly missed. May He rest in peace among the just and may you all live to remember him. My deepest sympathy for the loss of your husband, father, grandfather and friend. What a lovely, gentle, humble man. He was such an asset to the entire community. His diligent, caring work for the tasks he undertook will find a void in our community. He dearly loved his beautiful Yvonne and will be sorely missed by all who knew him. May he rest in peace among the just. May his memory be eternal. May you live to remember him. Sending comforting love and prayers. I knew George from DuPont and remember him as a kind and gentle soul. His passing saddens me. Please accept my sincerest condolence for your loss.